Hong Kong head coach Jo Hull believes that securing qualification for Women’s Rugby World Cup 2017 will act as a catalyst for growing the game at home. Head coach Jo Hull is upbeat about the future of the game in Hong Kong after seeing her side confirm their place at Women's Rugby World Cup 2017. With wins over Fiji in the opening two rounds of the Asia/Oceania WRWC 2017 qualification tournament, Hong Kong and Japan qualified for the 12-team showpiece event in Ireland next year. While Japan have competed on the highest stage twice before, at the first two tournaments in 1991 and 1994, for Hong Kong it will be the first time they have played at such a level – in either men’s or women’s rugby. “It’s huge, it’s hard to put it into words,” said Hull. 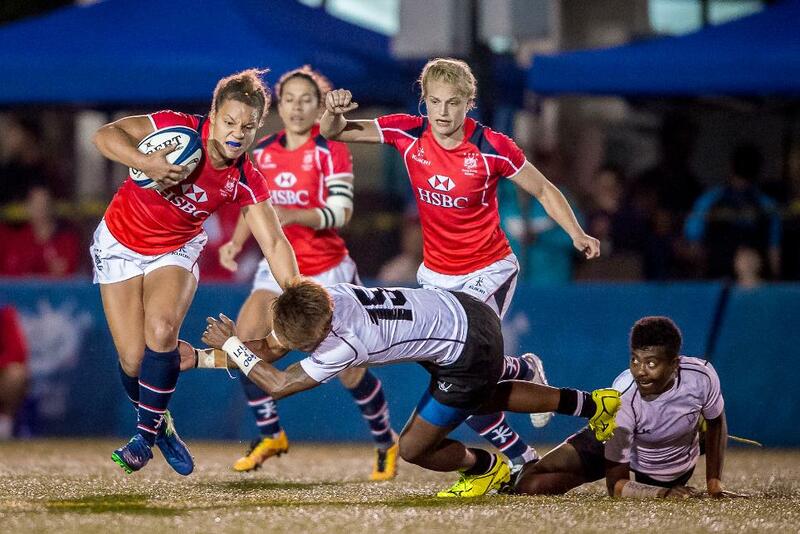 “For Hong Kong women’s rugby, hopefully it is going to be a huge turnaround and encourage youngsters and women to get involved and play in that Hong Kong jersey and take a lot of pride in that. “Bringing Hong Kong out of Asia to compete against world-class teams and be in the top 12 on that international stage will be fantastic and I think it will be a huge catalyst for the game in Hong Kong. “We wanted to create a legacy and create history, but what would be most pleasing is to see our men do the same thing in a couple of years’ time. "Bringing Hong Kong out of Asia to compete against world class teams and be in the top 12 on that international stage will be fantastic and I think it will be a huge catalyst for the game in Hong Kong"
Hong Kong will face Asian champions Japan on Saturday at the Hong Kong Football Club to determine the winner of the qualifier, having lost both games against Japan in the Asia Rugby Women's Championship earlier this year. “We are happy with qualifying for the World Cup, but we are focused on our next task. Japan play the Japan style and are fast and play at a high tempo,” said Hong Kong captain Chow Mei-nam. Saturday's winner will join hosts Ireland as well as France and Australia in Pool C of the tournament which takes place between 9-26 August next year, with those three teams “huge in terms of their skill level” according to Hull. The runner-up, meanwhile, will join WRWC 2014 runners-up Canada, New Zealand and Wales in Pool A, which Hull believes “is undoubtedly the most physical pool,” with defending champions England, the USA, Italy and Spain drawn in Pool B. “It will be pretty amazing for these girls. Whoever we play against, it is just about being the best we can be and being in that environment and enjoying it, but most importantly representing Hong Kong and taking pride in that,” added Hull. Next year will represent a third Women’s Rugby World Cup appearance for Hull, who was assistant coach for Scotland in 2006 before returning four years later as performance manager. “Going to a World Cup is an experience you will never get in any other walk of your life. It is three weeks of intense pressure, but it is an amazing three weeks, surrounded by amazing athletes and coaches and a really high performance culture. It is about celebrating how far women’s rugby has come,” she said. “Both my experiences showed how competitive and how far the women’s game has come. To be there you have to be prepared. You have to be ready for the pressure, and you have to be able to perform at the right time.